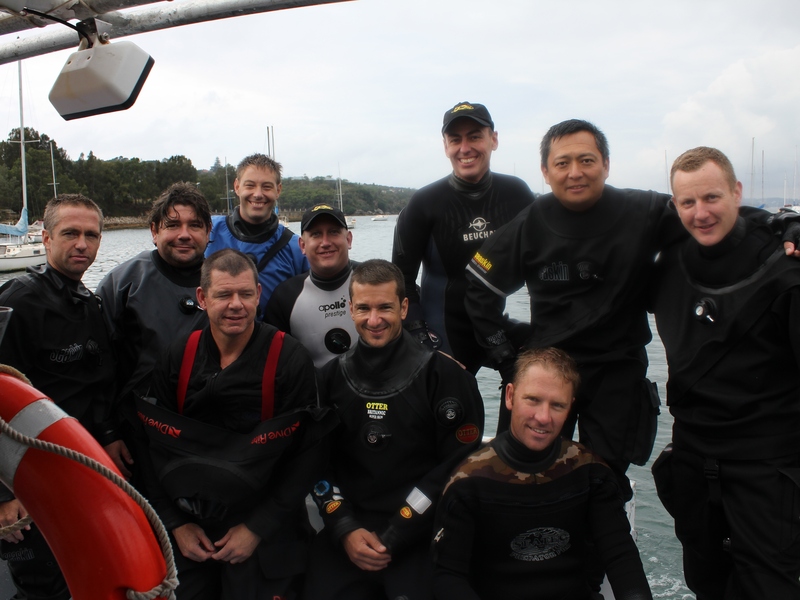 Before attending the OzTek’11 conference, key technical instructors and trainers from around the region attended the PADI sponsored pre-OzTek’11 dive. The journey took us out of Sydney harbour and north up the coast to a wreck called Coolooli near long reef headland and about 3 kilometres off shore. 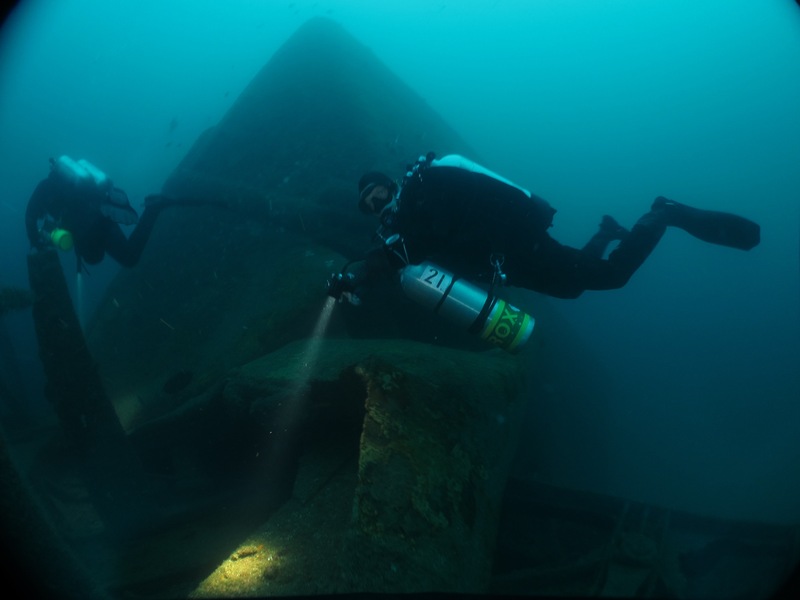 This area is known for its concentration of wrecks in the 48 to 52 meters range. Many are barges that were sunk as part of decommissioning and others like the Coolooli were deliberately sunk as a divers wreck. She was a 50 meters long and 10 meters wide bucket dredge. The Coolooli was scuttled in August 1980 and now lies on its starboard side on sand in 48 meters of water, with her port side at 38 meters. 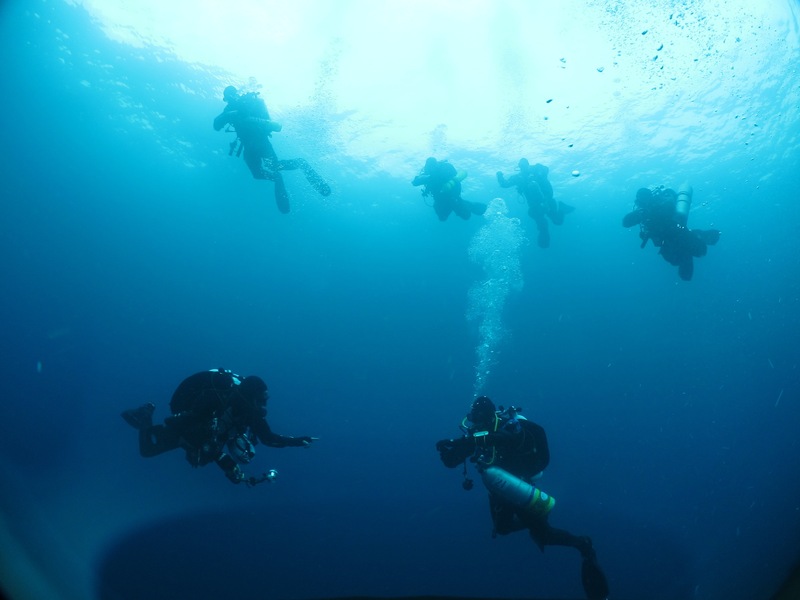 This is one of the main sites for Sydney based technical diver training. The conditions on the day were just outstanding, crystal-clear blue water with nearly unlimited visibility. The dive put everyone in the right mood for the OzTek’11 conference. On the trip were Jamie Obern, Ben Reymenants, Callum Girvan, Ronnie Daly, Fil Gray, Brendon Sing and PADI staff members Alex Boulton, Dan Macherel, Junya Kato and Thomas Knedlik. Previous PostPrevious Do you take a video camera tec diving?